The Notable State Documents Awards Program began in 1991 to recognize exemplary state publications. Presented annually by the South Carolina State Documents Depository System, the awards recognize notable documents that were released in the previous calendar year. State agency publications received by the State Library qualify to be nominated by depository librarians, State Library staff, or state agency employees. Agency websites and apps also qualify as nominees. All nominations are reviewed by librarians at the State Library, with approximately 20 documents being selected as final candidates. We invite librarians familiar with depository collections and/or state agency representatives to serve as judges. Our judges review the candidates and select the final winners on the basis of criteria such as the document's appeal to a large audience, or its ability to provide significant information to the public. In honor of Freedom of Information Day, awards are presented each March in a ceremony at the State Library. The archive for previous winners is available in our State Documents Depository here. See photos of the award ceremony on the South Carolina State Library Flickr. 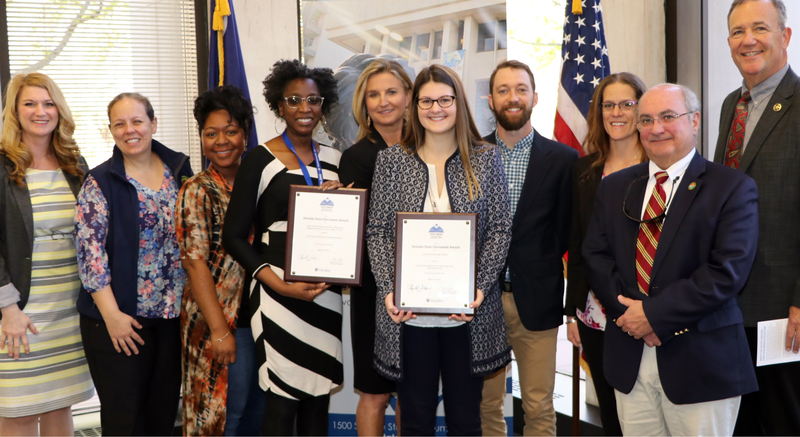 Enter your nominations for the 2019 Notable State Documents Awards here or click on the Award Logo on the left. Nominations for publications produced during 2019 will be accepted through December 31, 2019. The format used in this book involves a written description of each plant including its growth habit and details of various portions of the plant such as root systems, stems, leaves, and reproductive structures. To separate and identify closely related plants or plants with similar vegetative characteristics, hints and characteristics with key features are included. Additional information covers habitat or growing conditions in which each plant is usually found, primary means of spread (reproduction), as well as distribution in the USA and throughout the world. Lastly, the plant’s origin is included. This membership directory gives addresses, contact information, etc. and a short annotation and description of its members farms. A map, divided into regions, shows the farms' locations and a listing of farm activities is included near the index. This new guide will give readers an overview of DJJ and basic statistics on the agency. Part of the goal of this new Data Resource Guide is to provide the reader with an in-depth knowledge of DJJ and the juvenile justice system in South Carolina. This guide to the SC School Report Cards website provides an overview and explanation of the key performance indicators of South Carolina’s 2018 School Report Cards. The performance indicators are areas in which SC schools are measured. The reporting of these indicators, as well as the overall Rating, is designed to easily communicate to the public how schools are serving students. The South Carolina School Report Cards provide information to entire communities – educators, parents, business leaders and others – about school performance and the conditions of schools in South Carolina. The Report Card will allow parents and others to see how schools are improving toward meeting the Transformational Goals the state has set. Ultimately, they can be used to help the students who schools serve each day. The South Carolina Forestry Commission is proud to present to the citizens of South Carolina this updated edition of the agency’s native forest tree identification manual, originally produced in 2003. This greatly improved guide represents a significant upgrade to its predecessor in scope and detail; in addition to replacing one-color line drawings of trees and their identifying characteristics with full-color photographs, we have added more than a dozen native species than appeared in the first edition, added a section on tree and leaf anatomy, incorporated range maps for every species and included many more anecdotal and characteristic keys to identifying South Carolina’s native trees. The South Carolina Department of Education publishes the South Carolina African American History calendar to provide educators, parents, and visitors a method of identifying African American role models for all youth and honoring notable African American achievers with ties to South Carolina. This document is the official app of SCEMD. It is available for both Apple and Google. Find out your hurricane evacuation zone (Know Your Zone). Find the latest information on South Carolina State Office Closings and Delays. Includes valuable information on planning and preparing for an emergency and recovering afterward. The State Climate Office publishes this website with current drought conditions, seven drought indicators, descriptions of drought impacts, and legislation and state plans. The South Carolina Department of Consumer Affairs publishes Consumer Alerts to alert the public, businesses, and government agencies about scams, product recalls and consumer education. This issue specifically provides information for consumers about holiday scams and holiday shopping. This report by Joseph C. Von Nessen analyzes the economic impact of the state’s life science industry, comprised of firms in the fields of biotechnology, pharmaceuticals, biomedical technologies, biomedical devices, life systems technologies, food processing, and any organization that is actively engaged in the various stages of research, manufacturing, and distribution of products within these fields. Each year the South Carolina Forestry Commission publishes the annual report for its Forest Renewal Program. It includes information about the Forest Renewal Program's accomplishments, impact, financial report, challenges and staff. This brochure by the South Carolina Department of Motor Vehicles explains the REAL ID and the requirements for applying to get one. This document by the State Climatology Office gives facts about eclipses and highlights the August event’s traverse over South Carolina. The South Carolina Lieutenant Governor’s Office on Aging provides this website for seniors, caregivers, and adults with disabilities to connect to local resources in their communities. The South Carolina Department of Alcohol and Other Drug Abuse Services provides this DHHS-funded website for Just Plain Killers, a public education campaign that charges South Carolinians with taking a pledge to help fight opioid use and abuse in our state. The South Carolina Department of Transportation celebrates its centennial with this website with history, timeline, and historical maps. The Clemson University Cooperative Extension serves as the primary public service outreach arm of the University. Its website provides research-based information and education, including county office information and topical publications. Many South Carolina residents are concerned about indoor mold after severe weather events. DHEC has compiled this informational handout with recommendations to guide decisions regarding mold in homes and workplaces. This report summarizes a study conducted by the South Carolina Forestry Commission on the Indian market during the second half of 2015, and it is intended to help the U.S. Southern states’ forest products sector (producers, manufacturers, traders and policy-makers) in examining and preparing for the opportunities this market may offer, by providing them with detailed information on India’s economics, wood fiber network, trade flows and international contacts. 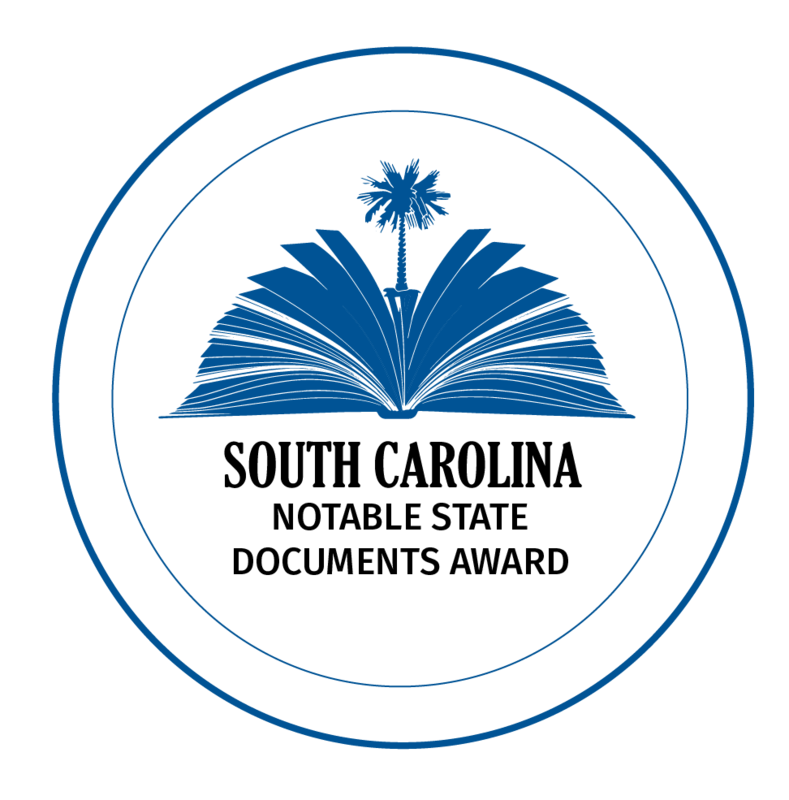 The South Carolina Joint Citizens and Legislative Committee on Children publishes the Data Reference Book as a supplement to their annual report. The book contains findings and recommendations for action on a variety of issues impacting the well-being of South Carolina’s children. The South Carolina K-12 School Technology Initiative was founded in 1996, as part of the General Assembly’s proactive approach to addressing technology infrastructure, connectivity and education in schools. The 2014-2015 Progress Report provides details on student learning, classroom technology, infrastructure & security, professional development, collaboration opportunities, and conclusions. This document communicates the mission of the Vocational Rehabilitation Department to create relationships among individuals, community partners, agencies, non-profits and businesses. It discusses client services, business services, disability determination services and partnerships. In South Carolina, comprehensive plans are required by state law and help local governments define their vision for future growth and change. The SC Healthy Comprehensive Planning Project began as an opportunity to address healthy eating and active living through community planning on a statewide scale. The evaluation results included in this document create a baseline measurement of healthy eating and active living principles in county comprehensive plans across the state. The South Carolina Arts Commission curates The Hub, a website featuring arts news and opportunities, resources, calls for art, research, events, and more. The South Carolina National Guard and the Office of the Adjutant General have an extensive website with agency information for the public, guard members, and family. Of particular interest is the Historian section with timeline, history, architect profiles, today in guard history fact, and other information related to the South Carolina Natural Guard and armories. The South Carolina Department of Natural Resources, State Climatology Office, created an online journal that includes flood and rescue images, maps of the event and a synoptic and chronological summary of how the historic rain and flooding unfolded with documentation of the meteorological and hydrological records. The South Carolina Department of Natural Resources created two blogs to bring to readers lively daily discussion on topics related to natural resources conservation, hunting and fishing, outdoor recreation and tourism, SCDNR projects and initiatives, and other news and information that will be of value to our state’s sporting and conservation communities. The South Carolina Coastal Resources blog focuses on the Marine Resources Division, whose mission is to serve as the advocate for and steward of the state’s marine resources.